In my youth my two older brothers and I hung together. Less than three years divided us in terms of age. There was, in our neighborhood an older youth who was a boxer, that we looked up to. In a rare instance where a nick name carried no negative connotation . 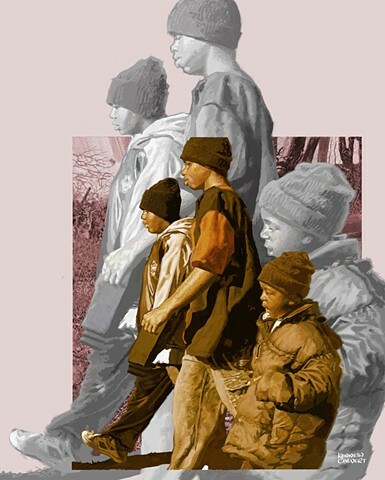 The image of this trinity of brothers, called up some deep rooted memories and inspired this digital painting. Click on prints and select my Nostalgic gallery for details and pricing.